Mini-Course Day 9: "Fast Start to Systems Thinking"
Managerial accounting is the art and science of managing by the numbers. It requires a thorough understanding of both leading indicators (real-time system performance) and lagging indicators (monthly financial statements). By measuring results and providing frequent feedback to managers and teams, it is possible for you to improve the performance of your organization in a dramatic way. Accounting isn't just for managing payables, receivables, and so forth. It is your primary system to measures the effectiveness of all your business processes—the operations of your organization. Its essential purpose is to help you maximize sales throughput and profit—the lifeblood of your business. Your accounting system is the “brain” of your organization. It reduces large quantities of data into useful information. Numbers reveal your strengths and weaknesses. They tell you what went wrong in the past and what you can do now to improve the future. “Managing by the numbers” replaces gut feelings and opinions with business intelligence. It provides the seeds of solutions to problems and is the basis for making vital and informed decisions. You can know the financial effect of a decision before you ever spend a dollar! Good decisions will save or earn you far more than the cost of acquiring the information. So don't skimp on your accounting system! "You cannot manage what you cannot measure" (Peter Drucker, business authority). "Anything that can be measured can be improved" (Michael Dell, Dell Computers). With business systems and processes, the types of measures you will apply include productivity, quality, timeliness, cycle time, resource utilization, and costs. In Box Theory™, we use a simple "Balanced Scorecard," developed by two professors at Harvard Business School, to establish measures and set target goals. A few key performance indicators (KPIs) drive the "economic engine" or your organization. If these results are good, everything else tends to fall into place. You should decide what those key numbers are for your company and watch them closely. Key numbers may include ratios like profit per square foot of space, profit per customer visit, sales leads per day, sales conversions per presentation, defective units per thousand produced, and so forth. You get the idea. In this ratio, focus on your most important results (numerator) and your most expensive resources (denominator). What are the one or two KPIs that drive the success of your organization? Select your measurements carefully, and only measure what you will use. Establish process measurements that let you know every day how you stand in relation to your goals. Keep in mind that the earlier your measurement system catches a problem, the sooner corrections can be made. Begin now to manage your company by the numbers; let measurable results drive improvement of your vital business systems and processes. By the way, if you are not a numbers person, or don't have a numbers person in your organization, get one now! In this highly competitive world, you have to manage by the numbers to be successful. "In God we trust. 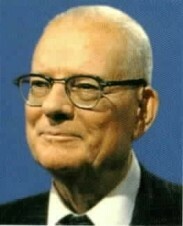 All others, bring data” (W. Edwards Deming, Total Quality Management). 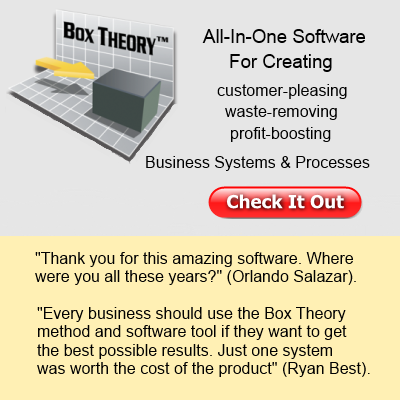 The Box Theory™ Way relies on data for teaching, improving, and making important decisions. You will learn about baseline data, benchmark data, trend data, diagnostic data and other ways to look at a problem. Numbers are the language of improvement. Now get this, just by measuring your business systems or processes—without making any changes to them—your performance will increase. Sweet! My Box Theory™ eCourse will help you know what to measure and how to measure, and Box Theory™ Gold software has a built-in report wizard for creating fully-formatted measurement reports in seconds. Your performance data will also show up on the system dashboard. 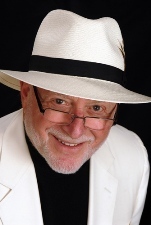 Other valuable information and articles, such as how to do a sales break-even analysis, are available from within the Box Theory™ Business Systems Academy. Please check out our numbers on the pricing page, and let's get going today. This could be the start of something big. 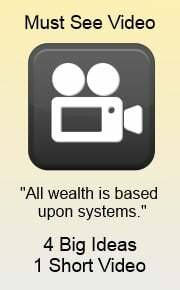 Mini-Course, "Fast-Start to Systems Thinking"